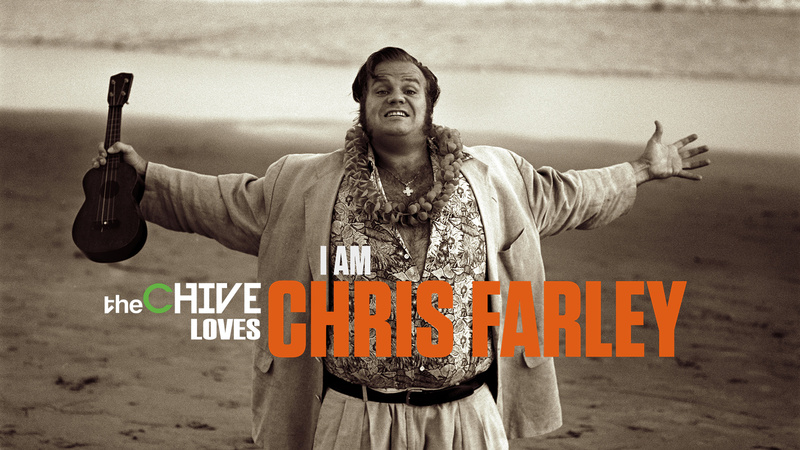 TheChive.com Presents "I Am Chris Farley." Pre-Order the HD Digital Download and DVD/Blu-ray Today! Chris Farley lived his life full speed and committed to make everyone around him laugh out loud, and I Am Chris Farley will tell his hilarious, touching and wildly entertaining story for the first time ever - from his early days in Madison, Wisconsin, and at Marquette University, through his work at the legendary Second City to his rapid rise to the top of the comedy world on “Saturday Night Live” and in hit films like Tommy Boy and Black Sheep. Sharing insights into the beloved funnyman are such co-stars and colleagues as Christina Applegate, Tom Arnold, Dan Aykroyd, Bo Derek, Pat Finn, Jon Lovitz, Lorne Michaels, Jay Mohr, Mike Myers, Bob Odenkirk, Bob Saget, Adam Sandler, Will Sasso, Molly Shannon, David Spade, Brian Stack and Fred Wolf, and family members including his brother Kevin, a comedian and actor, and his brothers Tom Jr. and Johnny, with sister Barbara. Directed by Brent Hodge (A Brony Tale) and Derik Murray (I Am Evel Knievel, I Am Steve McQueen, I Am Bruce Lee), produced by Derik Murray and executive produced by Paul Gertz (I Am Evel Knievel, I Am Steve McQueen, I Am Bruce Lee), Kent Wingerak (I Am Evel Knievel, I Am Steve McQueen, I Am Bruce Lee) and Robert Pirooz (I Am Evel Knievel, I Am Steve McQueen).